I don’t claim to be an actor, but that didn’t stop me from getting “volunteered” for a role in the Fincastle United Methodist Church’s presentation of “The Last Supper,” a piece by Ernest K. Emurian that brings to life the famous painting by Leonardo da Vinci. Written in the 1950s, the piece calls for the actors to assume the pose in the painting — for quite a long time actually! Then, over the course the evening, each one delivers a monologue about their thoughts on that fateful night. 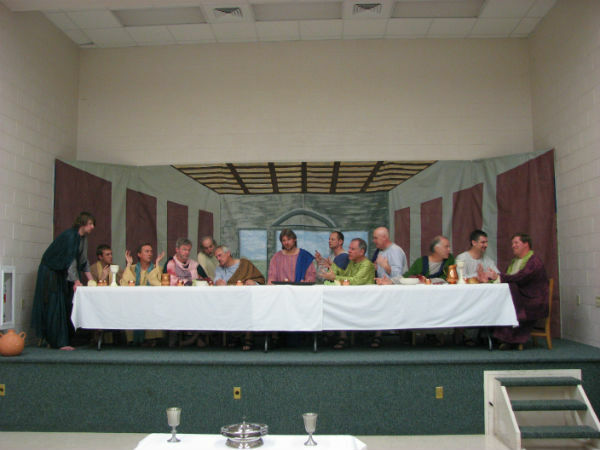 “The Last Supper” at Fincastle United Methodist Church, Fincastle, Virginia, in 2010. “The Last Supper” at Fincastle United Methodist Church, 2014. 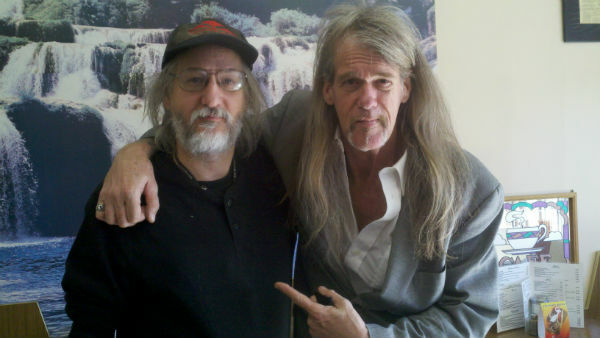 Thanks to Marsha Campbell and Cathy Benson for the photos. If you’re curious, I’ve written a few religious-themed plays. “Jose and Maria: An Old Story for New Times” is a full-length Christmas play, that adapts the Christmas story to modern times. It’s been produced. I also have several five-minute pieces suitable for churches (and which have been produced in churches.) Most of those deal with either Christmas or Easter. 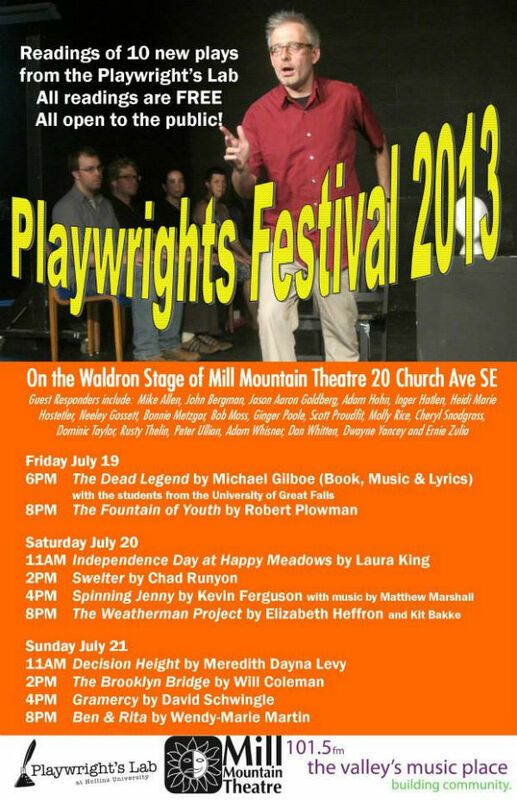 I was a guest responder this year for the annual Playwrights Festival that’s part of the Hollins University MFA playwriting program. Ten new plays had staged readings over three days and nights; I was able to make four of them and, I hope, offered some constructive feedback. Each one I saw was wonderful in its own way and I hope to see each one produced someday. * “Independence Day at Happy Meadows,” by Laura King, was a hilarious farce about four women breaking out of a nursing home. * “Swelter,” by Chad Runyon, was a dark, thought-provoking play about a mother whose 3-year-old son was left in a car on a hot day and died. * “Decision Height,” by Meredith Dayna Levy, was a wonderful historical play about female pilots during World War II. * “The Brooklyn Bridge,” by Will Coleman, was a very touching — and contemporary — romantic comedy. 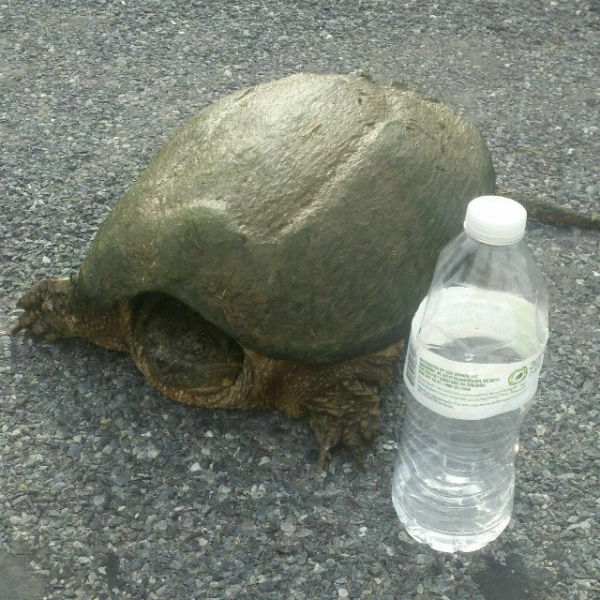 The playwright and his prize. 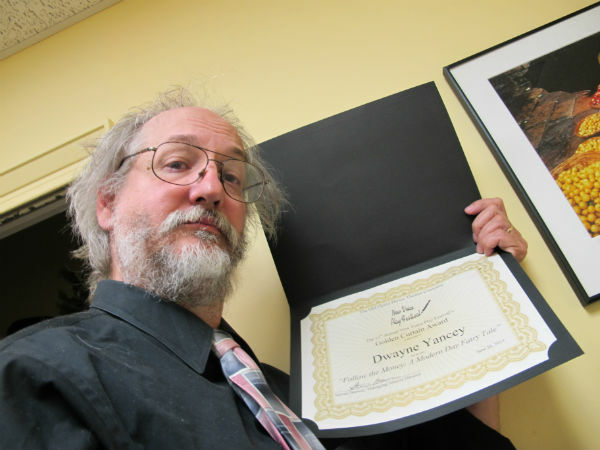 My one-act “Follow the Money” took first place (in an audience vote) in the New Voice Play Festival at the Old Opera House Theatre in Charles Town, W.Va. in June. Here’s the certificate to prove it.